3. URL obviously not WAMU! 4. URL disguised as https://login.personal.wamu.com/verification.asp?d=1 . 6. 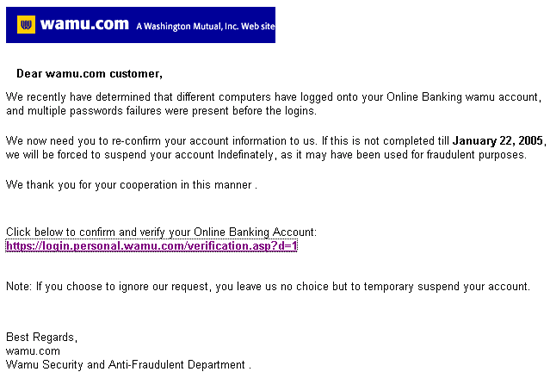 Bad spelling in the subject line (requirementfc) quickly gives this away as a scam. 7. Website traced to Brazil.
" 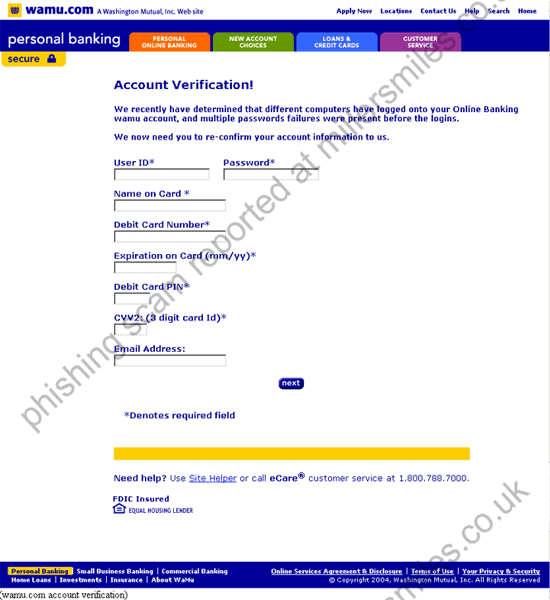 We recently have determined that different computers have logged onto your Online Banking wamu account, and multiple passwords failures were present before the logins.."